Jensport Stainless Steel Braided Brake Hoses for the Jensen Healey and Jensen GT. Custom made for the JHPS by a leading manufacturer of brake commonents in the USA. These are the highest quality, stainless steel braided brake hoses. D.O.T. approved for street use on the Jensen Healey. 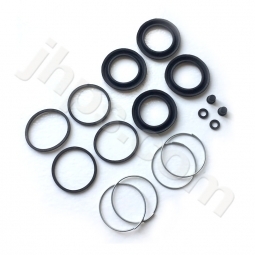 Direct bolt on replacement for the old, stock Jensen Healey rubber brake hoses. 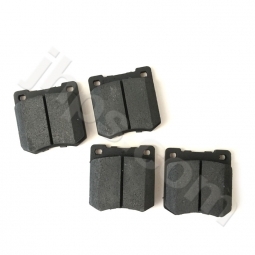 Excellent for any brake upgrade kit too. 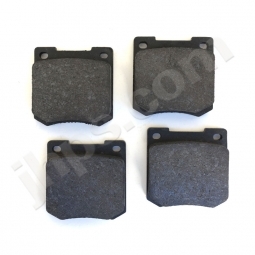 Eliminates that spongy pedal feel and provides greater braking efficiency and operation. Made with PTFE hose and stainless steel braid, each assembly uses reliable, weight-saving crimp/swage fittings that exceed the industry's strictest manufacturing standards. All assemblies pass our exclusive Quality Assurance testing and are certified by the United States Department of Transportaion for use on any public roadway. Sure, there are some non-DOT approved hoses that are good quality, but lots of rubbish on the market too- why take a chance? Brakes hoses are only as good as the company that makes them and ours are the best! Beware! Brake hoses are not all the same. There are a bunch of cheap metal and rubber hoses out there that claim to fit the JH. I purchased a set myself and I can tell you these things are junk- besides being too short for a proper reach in front, they can never be D.O.T. approved. Who knows when they will blow out, a week, a month, a year? Don't risk a major hydraulic failure. Quality brake parts are some of the cheapest insurance you can buy. 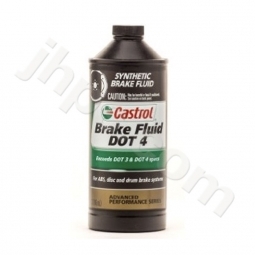 We recommend the use of Castrol LMA DOT 3-4 brake fluid only in your Jensen Healey or GT. For safety and reliability, we recommend you replace the complete hose set on your Jensen Healey, a full set is three pieces: two front hoses and one shorter rear hose. If you are unsure or inexperienced with the brake system on your car, please have a professional mechanic perform the installation and bleed the brake system. NOTE: For safety reasons we only sell the front hoses as a set (unless you've damaged or lost a matching hose).